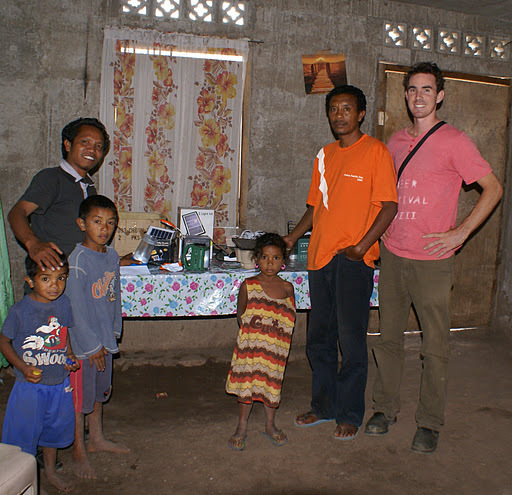 Last week marked a turning point in the Good Return Sustainable Energy program in Timor-Leste. The transition of the project from Good Return hands to Moris Rasik management has begun, and it is an exciting time. The PABU Team on the road! This transition started during a week-long trip into the districts to conduct product focus sessions with Moris Rasik clients at centre meetings and to identify district based distributors that can bring the solar products from Dili into the Districts. 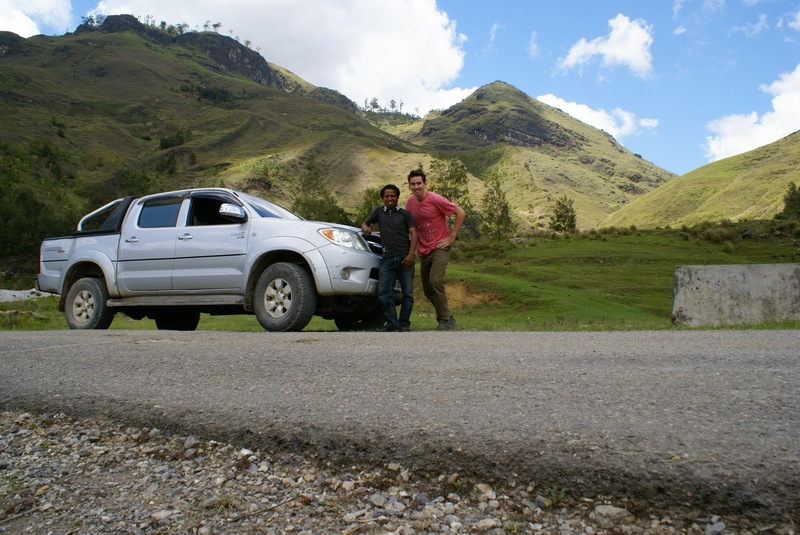 The trip was conducted by the Moris Rasik Training and Product Development Research Officer, Carlos and myself, Damian – the Good Return Sustainable Energy Program Manager (Timor-Leste). Thankfully this time we were travelling by 4WD rather than by my motorbike, like last time. The trip had a gruelling schedule of 6am starts, with about 5 hours of travel per day on Timors notorious roads and as many hours of focus sessions and interviews with local shop owners. The response however was uplifting and over whelming – the solar home systems and solar lanterns we demonstrated were in high demand by clients and potential distributors alike! In addition, using the Moris Rasik network of over 12,000 clients nationally we were able to identify a number of existing clients and potential new clients who may be suitable distributors. The trip took us through the steep and windy roads south of Dili into the district of Aileu, past the muddy road works and along mountain ridges to chilly Maubesse in the north corner of Ainaro district. Maubesse sits in a large cauldron surrounded by bald, grassy mountains and is one of the more beautiful spots to over-night in Timor. From Maubesse we crawled down steep switch-backs and headed south east into Manufahi district and eventually onto the rolling hills around Same. Continuing from Same the next day we headed west in Hatu-Udo Sub-district for more centre meetings and focus sessions and then onto Ainaro. The following day was spent in Ainaro before we made the trek back up the mountains to Maubesse and back through Aileu to Dili. Along the way we stopped at the MR offices in Aileu, Maubesse, Same and Ainaro to provide training to staff on the responsibilities of the Sales Agents. We deviated from the main roads to visit centre meeting and conduct product focus sessions. In the town-ships we visited with clients and well respected business people to identify potential distributors. These visits meant that multiple cups of Timor-Lestes national drink – coffee were enjoyed, gregarious and wide-eyed children were met. These kind of discussions in Timor tend to be quite lengthy. 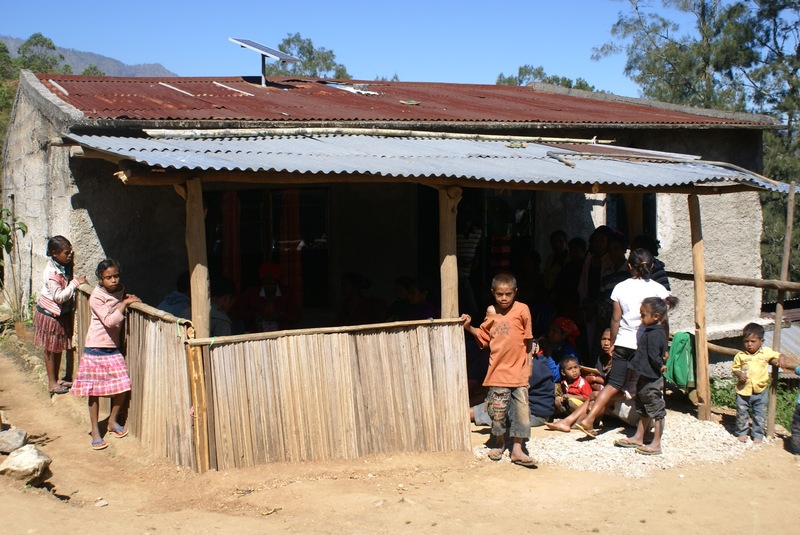 The Sustainable Energy Program / Programma Ahi Baa Uma (Light in the house) idea of building a sustainable business model and distribution network is a new concept by Western Standards and is not intrinsically understood in Timor. It is very interesting to watch the reaction of business people when they grasp the opportunity that this program presents to them – namely to manage and operate a network of sales agents selling solar powered lights on credit through the Moris Rasik network of clients. The location of one of the product-focus sessions – 10 points for spotting the solar panel! All in all the trip was very productive. By the end, Carlos was taking the lead with client interviews and product focus sessions and was extremely well versed in the mechanics of the program and the responsibilities of each of the actors. He is a natural networker and I’m sure he will do his best to ensure the transition of the program from the hands of Good Return to Moris Rasik goes as smoothly as it can in the unpredictable environment of Timor-Leste! An met such an example of unpredictability on our return home . 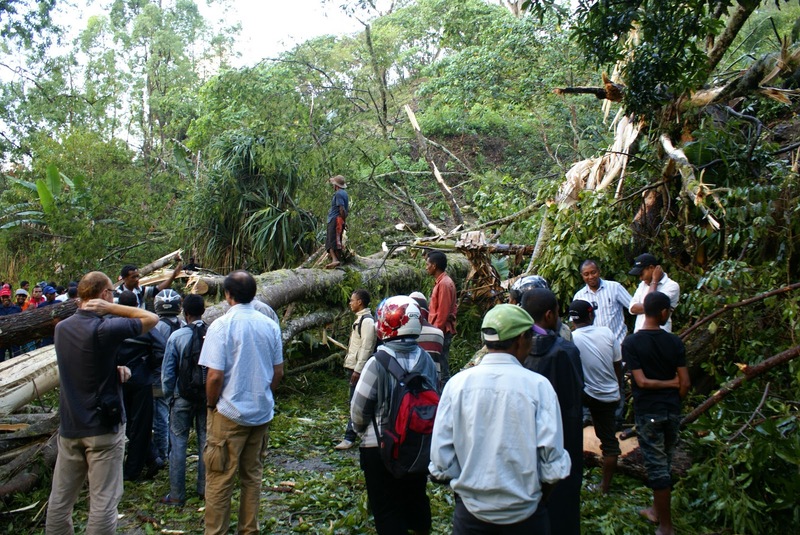 A giant tree that had fallen down across the only main road between Aileu and Dili. The emergency response team, the ‘Bombeiros’ as they are known were quickly on the scene but the single chain-saw they had couldn’t handle the multiple 1m think tree branch’s it was presented with. They were forced back to the ever-present, ever-ready, timeless machete with which to cut through this ancient tree.